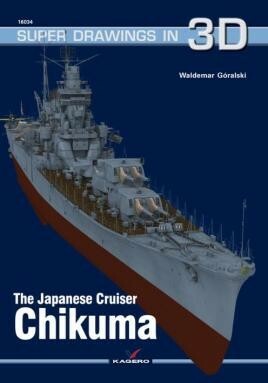 The Japanese cruiser Chikuma According to the provisions of the Treaty of London light cruisers could be armed with cannons with a maximum caliber of 155mm in quantities up to 15 pieces. Japanese engineers, admirals and Fukuda Fujimoto developed a draft of the ship classified as "medium cruiser type." His task was to guard the main force fleet from attacks by enemy light forces and the fight against cruisers. The ship was ordered under the Second Fleet Expansion Program of 1934roku. Funds for the construction of the cruiser entered in the budget for 1935/1936. The ship, which was named Chikuma River (in Nagano Prefecture on the island of Honshu) was built in the shipyard of Mitsubishi Nagasaki.